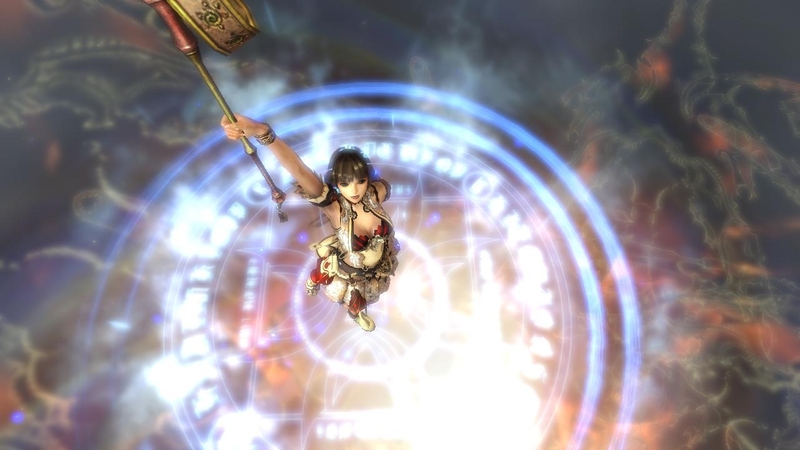 Magna Carta: Tears of Blood was something of a divisive title among gamers, with some hailing it as the stand-out RPG of the latter half of 2005 and others writing it off thanks to slow-paced gameplay and story. 50% success was enough for developer Softmax to have another bash, resulting in this, the second major title in the series. I use 'major' as a qualifier as Magna Carta has also been busy trying to work into the Korean market with a PC-based prequel to the PS2 title that started it all. 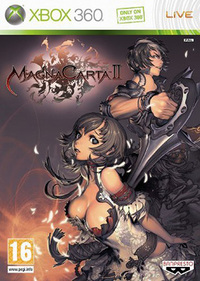 Magna Carta II is a fully-fledged sequel, offering a more complete expansion on the world introduced in the first game. In some respects the guys over at Softmax haven't budged from their design from the first game, with another story that is slow to get going - and even when it gets up to speed it's relatively relaxed compared to the urgent rushing through story found in many Eastern RPGs. In other areas Magna Carta II is stunningly different; with the gameplay now a fast paced fusion of real time combat and traditional RPG elements, much like Square Enix's Star Ocean 4 and Final Fantasy XII. There's no loading to head into battles - it all happens in the same areas exploration takes places, which helps to keep the tedium and loading to a minimum. 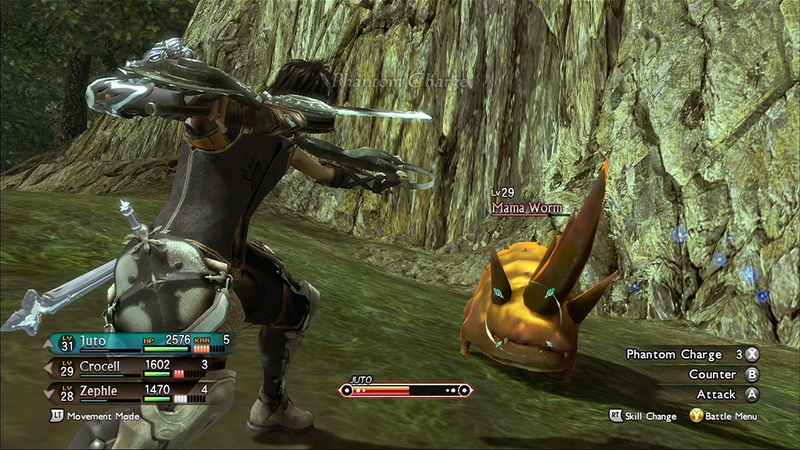 At its core, the combat involves taking a party of three characters into battle against enemies, with the A button functioning as your basic attack and the X triggering special character-specific skills. 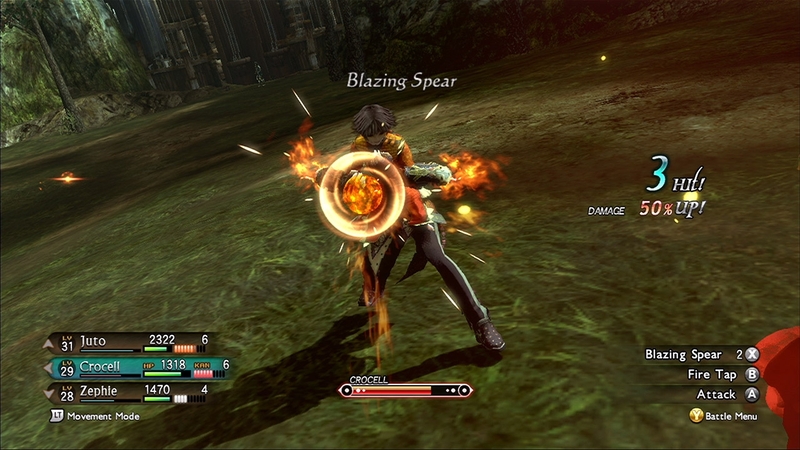 Firing off those skills requires energy, which is gained by using regular attacks. This all sounds very simple and possibly even a bit like a button masher - but trust me, this game is far from that. Wailing on the attack button relentlessly will cause your character to 'overheat,' putting them out of action for a few valuable moments. Getting around this is a matter of timing. When you get it right, you'll be hitting enemies several times in the powerful overdrive mode, chaining attacks with another party member as you overheat. Your second party member can then do the same, chaining the attacks together seamlessly. When the combo is finally topped off with a special skill by tapping the X button, any allies who have overheated will instantly recover and be ready to move onto the next enemy. Mastering this timing is vital for the bosses, and helps keep the battles from feeling stale, as part of the fast-paced feels the battles evoke comes from the fact you're often switching characters and concentrating on your timing to avoid overheating. The combat is satisfying, though sadly it doesn't evolve much past this initial setup, with the same routine of avoiding overheating and chaining attacks playing out in pretty much every battle you encounter. The game is pretty damn hard, which makes the save point system a pretty terrible idea. Saves are scattered a long distance apart in terms of both the time needed to find a new one and the distance in the game world, meaning there's a lot of potential for finding yourself dying over an hour after your previous save simply because a new opportunity hasn't presented itself. This can be mindblowingly frustrating, especially when you're then forced to sit through the same dialogue and battles you've been through before. The camera appears to have a short attention span, often wandering off and looking at everything but what you need it to look at. As you plough through the single player you'll do everything expected in an RPG, leveling up and gaining new skills on each character's skill tree, with plenty of choices to shape the nature of your party along the way, putting a satisfying amount of control of the shape and style of your party in the player's hands. Combos will grow lengthier, characters will learn to use different kinds of weapons for different combat styles, and those magically inclined will learn powerful, flashy spells with pretty but jarringly unskippable animations - it's all there. "It's all there" is probably a great way of describing Magna Carta II in general. This game has almost every Eastern RPG cliché in the book in its storyline, with the real-time battle gameplay the one truly original, different thing in title - and even that bears a striking resemblance to some other Eastern-made RPGs. The plot tells the story of a magical society torn asunder by civil war, and you'll play the role of Juto, a young man who has lost his memory. Here on RPGSite we have actually heard this story so many times before we could've told you the rest of the plot of Magna Carta II without even seeing the game. In terms of the storyline, cast and quest design everything unfolded pretty much exactly as predicted, a fact that was a little sad, especially considering the interesting and fun battle system, a massive improvement over the one in the original Magna Carta. 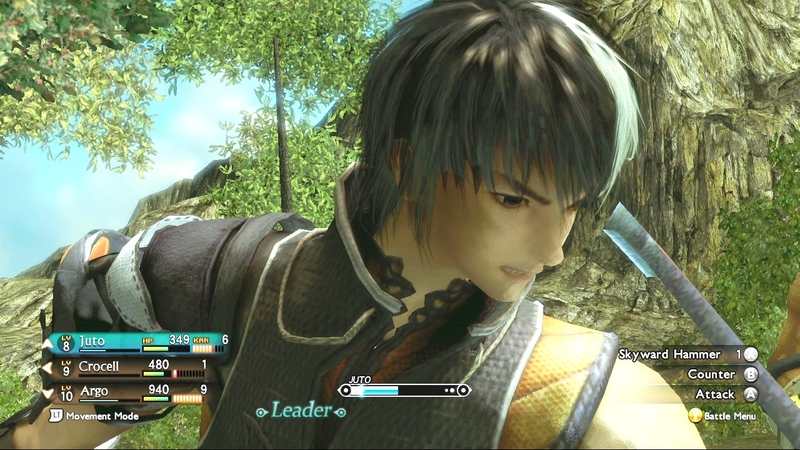 On the bright side Magna Carta II has a fairly high quality dub, with voice acting that won't drive you crazy like that in some much higher budget RPGs such as Star Ocean 4. It's a shame the quality voice work couldn't be coupled with a more interesting plot, but you can't win them all. Another bright side is the visuals, though they don't shine as well as the voice work. When Magna Carta II looks pretty it looks really pretty, but in some areas of the game it goes to the other extreme, not doing the HD console it's on justice. Once again this isn't helped by the cookie-cutter approach to the design of the game, with most of the character, world and enemy designs uninspired and clichéd. Magna Carta II is riddled with problems, chiefly its uninspired design that features almost every Eastern RPG cliché known to man. However, underneath the all-too familiar design there's a competent battle system that shows some real, interesting potential and at times can be downright addictive. Everything in Magna Carta II is more then serviceable, even the clichéd elements. There's a wide variety of skills to learn, the fun battle system, a good dub and a plot that'll see you through even if it doesn't enthrall you - it's alright. You'll just have to bear in mind that chances are apart from elements of the battle system, you've seen everything in Magna Carta II before.